Last Summer I went to Hungary.. 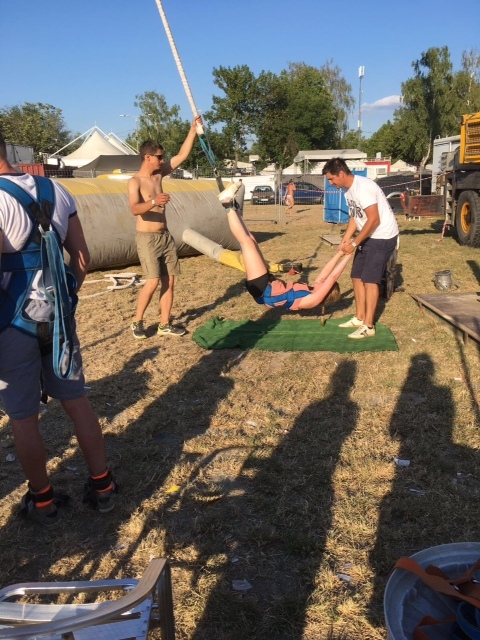 I spent two days in Budapest and then travelled to Siofok. 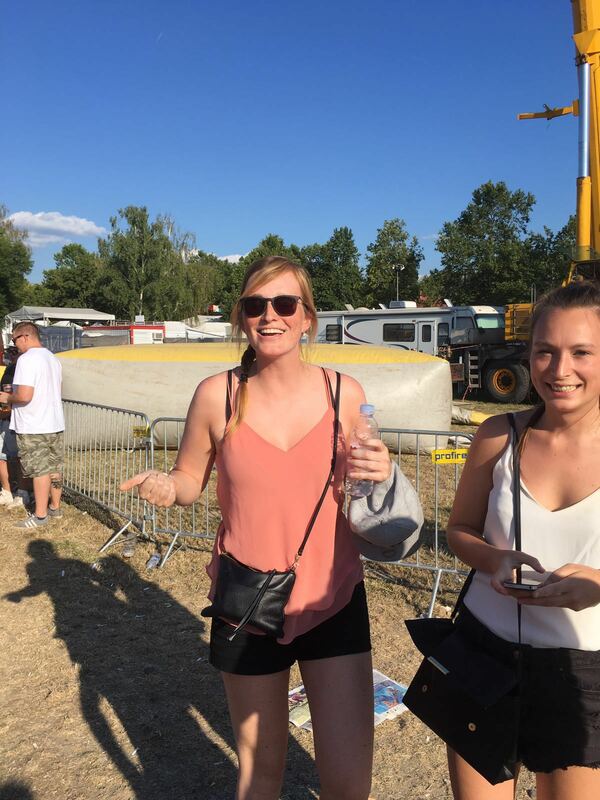 From there, I visited the five day festival Balaton Sound. I had a great time! 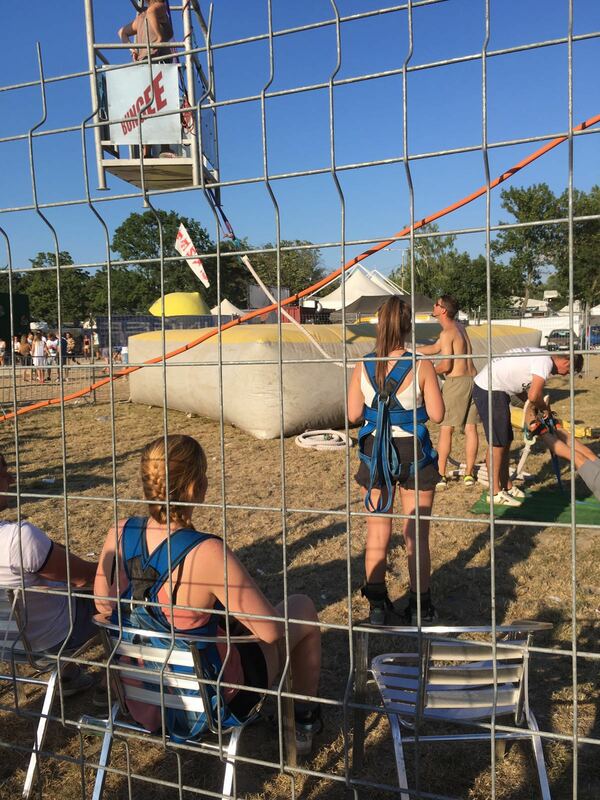 On the festival, there was the oppurtunity to bungeejump, and on the last day I thought: why not? Let’s do this! Between travel, food, events and lifestyle, I now added a new topic to this blog: adrenaline activities. With those posts I would like to take you with on my journey of crossing off some things on my bucket list of crazy sports etc. Notice these writings will be ‘for dummies’: don’t expect professional advice, I am new to all of it and am always scared :). 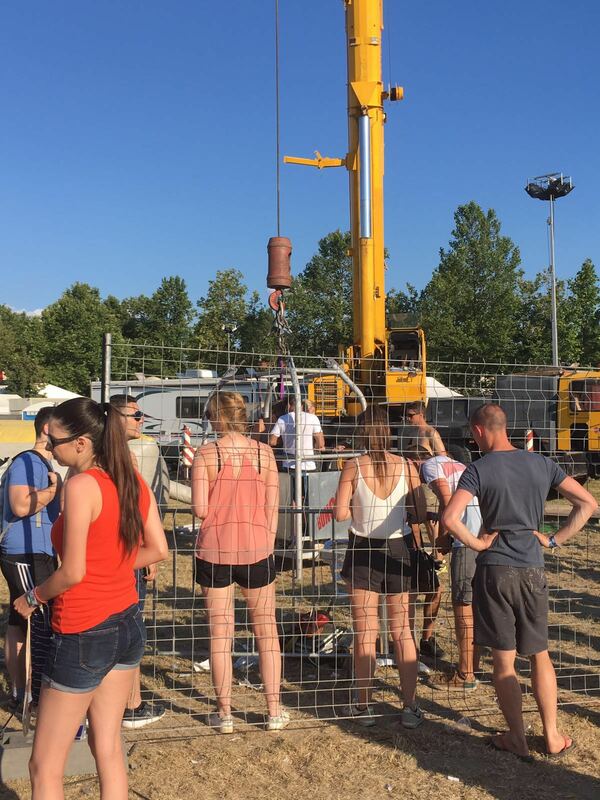 So, let’s talk about my first bungee jump. I agreed with a friend we would both do it. Before us a girl went up and they had to bring her down again, she was crying when we saw her, which didn’t exactly calm me. 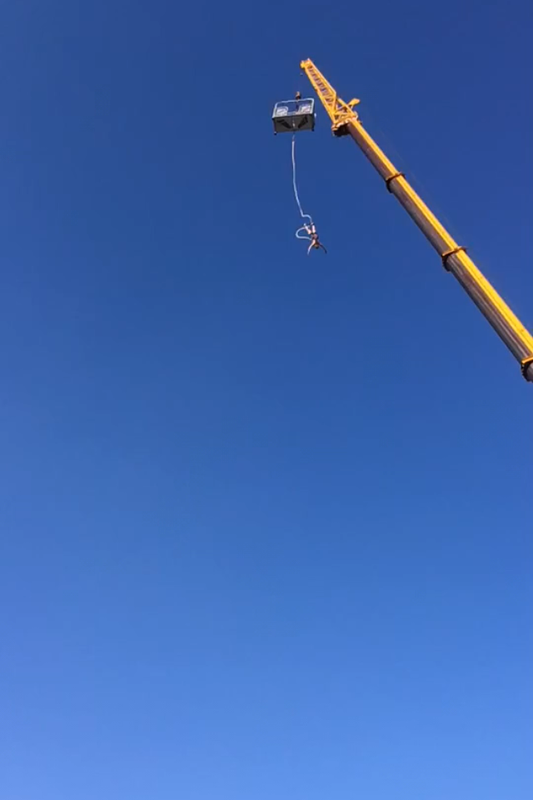 I actually wanted to jump before my friend because I thought I would get very nervous by watching her go. But I ended up letting her do it first, and it was ok, I just didn’t really watch :). 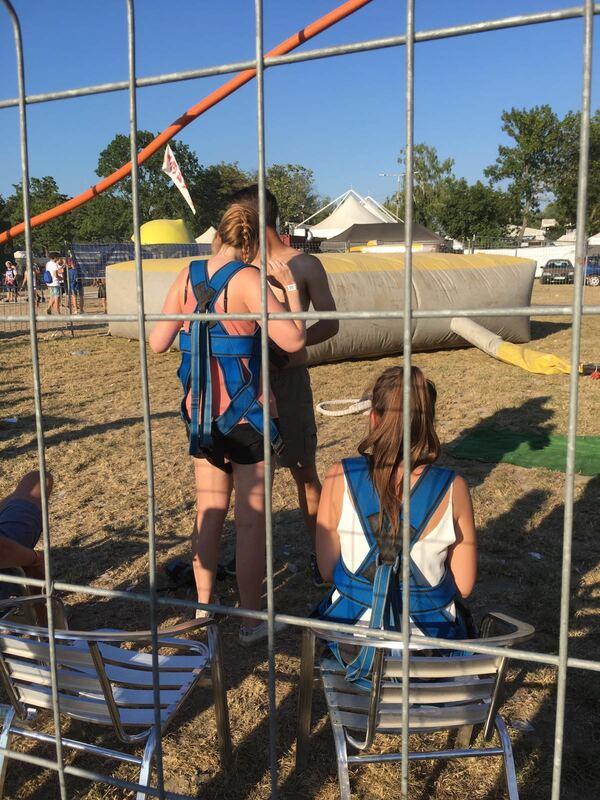 When I was waiting in line and talking to the others, everybody said I shouldn’t be scared because I skydived before. But thinking about it, it is just a completely different thing. 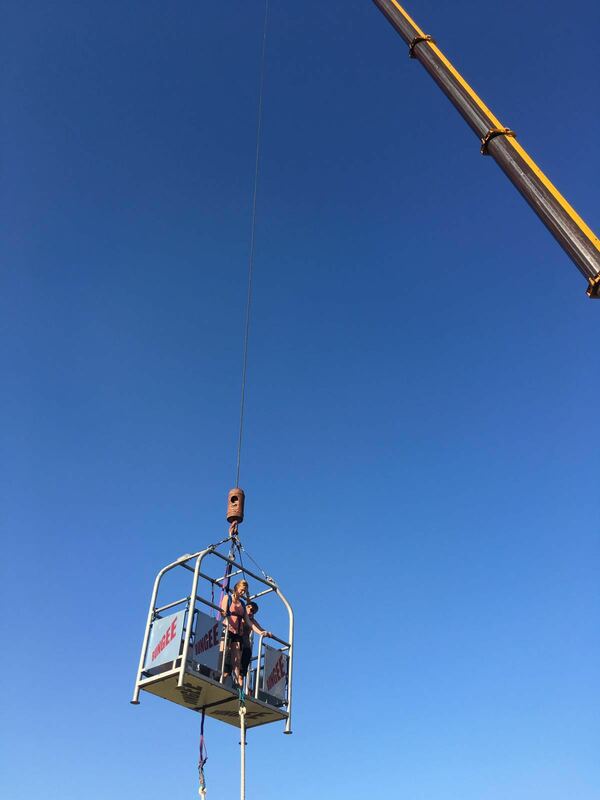 When you are bungeejumping, you are really jumping straight to the ground – when skydiving that isn’t the case, it feels more like you can fly. When I was brought up in the air, I was thinking ‘why am I doing this again?’. It felt way higher when I was actually up there than when standing on the ground. As the (sometimes a bit too avid) double checker that I am, I asked the woman who accompanied me if my ‘armour’ was safe and thight, and then she started to count to 3. I am happy she did that, because I think I would have never taken the plunge otherwise. The jump was good and was definitely worth it, except that I was spinning around a lot, which felt weird in my head. Some pictures! My friend and I trying to pretend we weren’t scared :). Watching my friend go up. When approaching the ground, I had to reach for the hands of the man who was standing there, which was actually harder than it looks because you are seeing everything upside down :).